Does anyone remember this video I made a long, long, long, time ago? I am sitting here cracking up. Did I love my Skinny Cows or not, I ask you. I woke up to a very beautiful winter wonderland again. It even snowed a bit more this afternoon leaving ice and snow tonight. I do love the “clean snow” look but I don’t like the really cold days anymore. 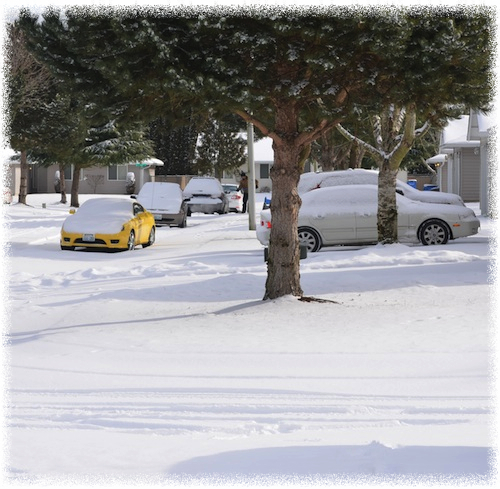 We left Spokane to come back home to Vancouver, our home, which seldom gets any snow. We have Mt. Hood close by if we want to visit some snow. 🙂 It never got above freezing today. It’s looking like a high of 39 tomorrow and a chance of rain. Temps are suppose to move into the mid-40’s this week. Good forecast. 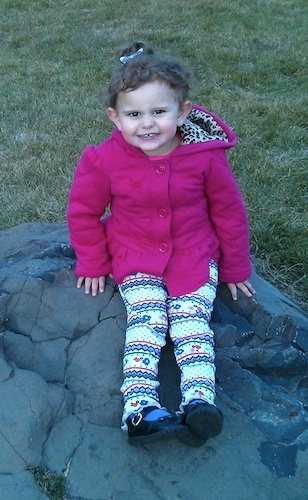 I’ve been thinking alot about our granddaughter, Emily, who lives in Spokane. Al and I talked to her on the phone yesterday and it melted our hearts. She sounds so grown-up and will talk your ear off if you let her. My, she sounds like her Grandma! 🙂 I’m hoping we can get in a visit soon. It seems like you blink and the kids are a year older. Al and I both had a nice, relaxing, quiet day at home. I made us some homemade pizza with cheese, pineapple, “fried” mushrooms, turkey pepperoni and topped with fresh tomato slices. Yum! We split a pizza, which works out to be about 600 calories for a half pizza. Not too shabby! As for my Journey, I stayed within my food budget for the day. I didn’t do as well with the water; something I’m always working on. No exercise today. 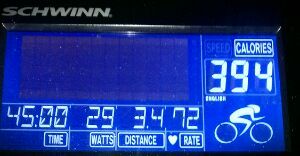 I had a great workout on the elliptical today – I went 3.4 miles in 45 minutes and burned 394 calories. I think I’m ready to move up to Level 6 as it’s getting easier on Level 5. I always feel great after I do my workout. Soon, Al and I will be hiking again. We had a bit more snow today which brought our total to about 3″. It is very pretty outside. Love new snow. Al and I are planning a nice quiet weekend. I am slowly learning how to use Word Press and I can honestly say, it’s been frustrating at times. I do not give up easily.